BÌNH ĐỊNH — Central Bình Định Province has attracted 12 domestic and foreign investment projects to economic zones in the first quarter of the year, provincial People’s Committee Chairman Hồ Quốc Dũng said. Good implementation of land clearance measures and investment promotion were responsible for this development, Dũng said. 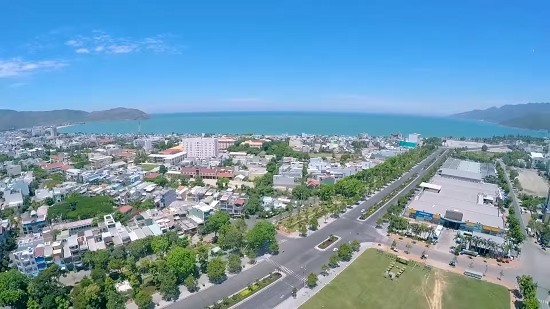 Notably, there are four projects investing in the Nhơn Hội Economic Zone with total capital of VNĐ1.3 trillion (US$57.8 million), bringing the total number of projects in the zone to 55 so far, with total investment reaching VNĐ36.6 trillion. All industrial zones in the province have to date lured 228 projects with total registered capital worth VNĐ11.1 trillion, of which 65 per cent has been disbursed. Dũng added that the province’s construction and industrial production value in the first three month of the year increased by 8.95 per cent year-on-year to VNĐ2.79 trillion. The chairman said in the near future, the province would boost trade and investment promotion to encourage enterprises to invest in fields such as home furniture, seafood processing for export, textile and garment, and industrial feed processing.